How Brain Healthy is your Lifestyle? Take this simple test to see how Neurobic your everyday lifestyle is. There are no right answers only your own opinion. How often do you shop at a farmer’s or ethnic market? Do you always take the same route to go to work or to shop? Would you rather watch TV at night than eat with a friend? Do you follow the same routine on getting up everyday? Do you always bathe at the same time? Do you tend to take the same type vacation every year? Do you try different styles of food at home or restaurants? Do you try to experience new things often like going to museums, movies, hikes, etc? Do you try to have social interaction with others? Do you believe you use all of your senses : smell, sight, taste, touch, hearing? 33 or above: You’re doing a great job of keeping your brain alive and healthy. 24-30: You’re in need of some changes in your brain exercise habits. 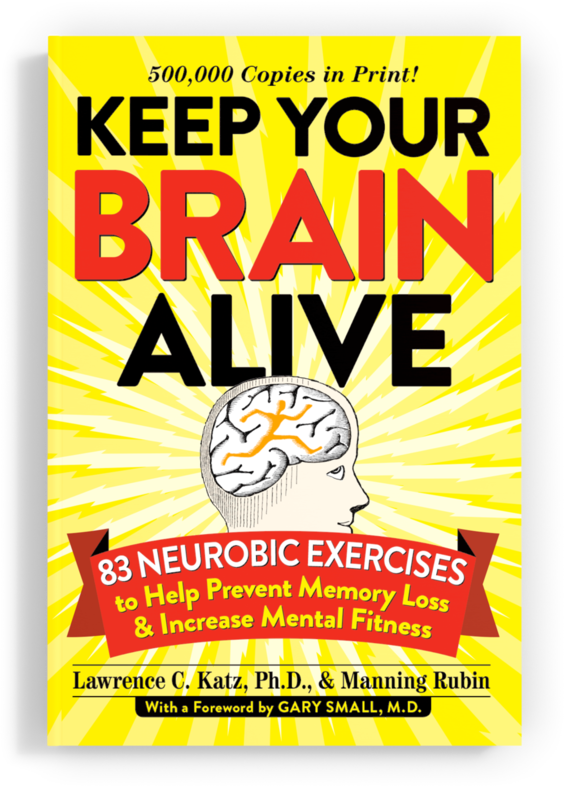 22 or less: You better snap into Neurobic action and start getting your brain into shape. It’s never too late.